The BuildBlock ICF Installer Training Series will teach you the entire process of installing ICFs. BuildBlock recently released the BuildBlock ICF Installer Training Series, a 20 part video series that documents and explains the ICF building process from start to finish. Whether you have experience building with ICFs, have done some research, but don’t know where to start, or are still unsure about the benefits of ICFs and process of constructing with Insulating Concrete Forms, this is the series for you! BuildBlock prides itself on quality education. 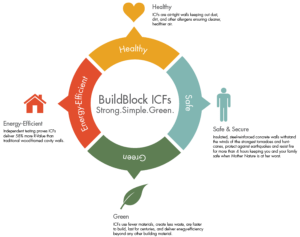 Making the move to ICF is a smart decision and we want anyone who installs our products to be equipped with the right information they need to complete an exceptional build. The ICF Installer Training Series takes a beginners approach to ICF construction. We start with an overview of how ICFs products are designed and made and cover the many benefits of structures built out of insulated concrete. You’ll learn what tools are necessary, how to assemble an effective team, and how to estimate labor costs. From there we walk through the individual steps of construction, starting with the foundation and ending with handing the project over to other trades. Working with ICFs as a building material requires a small learning curve, yet with a little information and practical application you’ll see that the process is actually quite simple. It really is building with building blocks for adults. Insulating Concrete Forms are rapidly growing in popularity among builders, contractors, and homeowners. 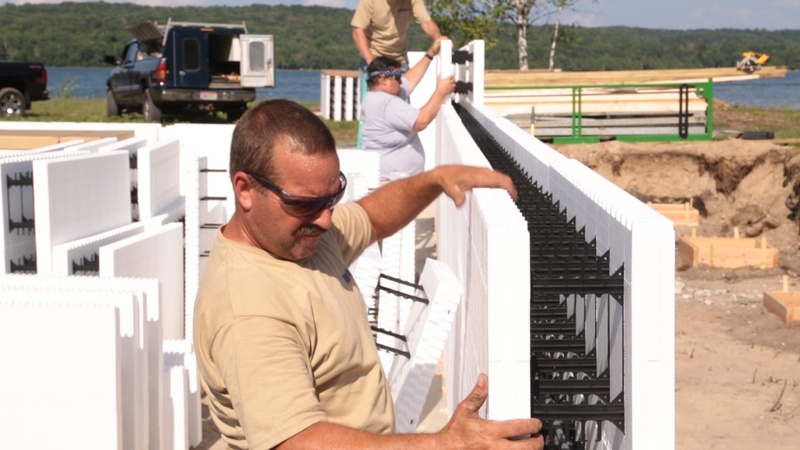 ICF construction is typically much faster than traditional wood framed construction. Most homes can be stacked, braced, and filled with concrete in a matter of days and a residential home can be built with a small crew of 3-5. ICFs also do 6 things at once: Form, frame, fur, sheath, insulate, and sound-proof a concrete wall in one step, with a single product. When paired with the life long benefits for the homeowner, ICFs are the safest, cleanest, quickest, and most affordable building material on the market today. Independent scientific testing proves ICFs delivers 58% more insulation performance than insulated cavity walls. After watching this series you’ll have a basic understanding of how to build with ICFs. 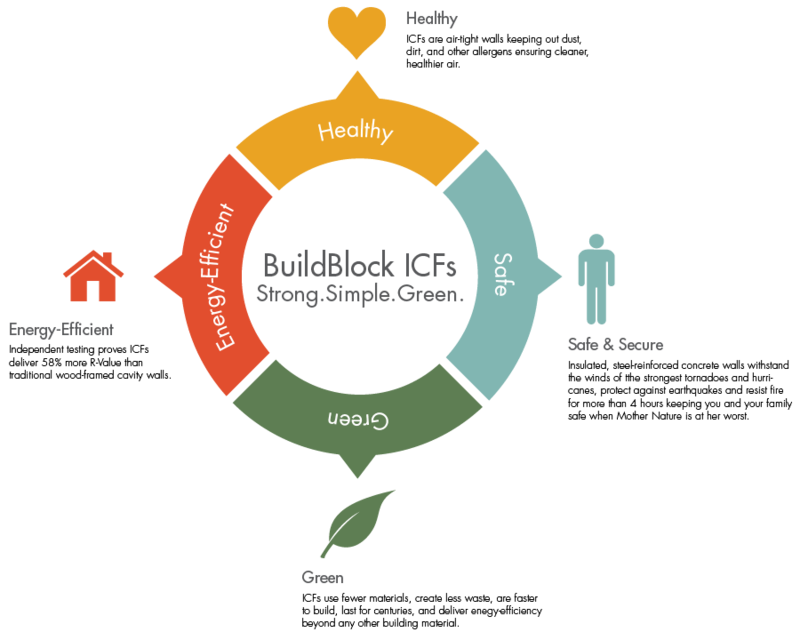 You’ll know how BuildBlock is manufactured, how to plan for your job, and how to execute a successful ICF build. The series can be watched and shared via our Youtube or Facebook pages, as well as this blog post or buildblock.com/training.